Where to have a small wedding ceremony in Italy? For small wedding parties in Italy we love to arrange weddings in private villas. A wedding in a private Villa in Italy offers you to have the wedding ceremony, the wedding reception and the accommodation of the guests in one place. This will certainly guarantee you to be relaxed and to feel at home away from home! Our portfolio features the most suitable private Villas for small weddings in Italy. 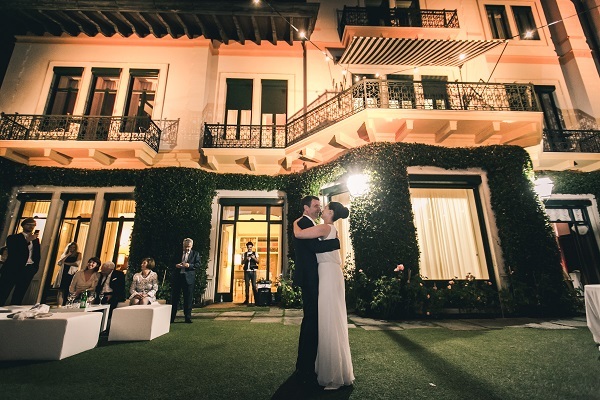 You are free to choose your perfect wedding venue among the many kinds of Italy villas that we selected: farmhouses surrounded by olive trees, countryside villas in the midst of vineyards, elegant villas in Florence or stylish villas in Northern Italy in the Italian Lakes region. Most of the locations offer beautiful Italian gardens, stunning views, infinity pools and are the ideal wedding venue for outdoor receptions and wedding ceremonies in an Italian garden. Private villas are the ideal place to create unforgettable memories with friends and families. The villas are often to rent on a weekly basis or on a three-day basis. Since the ceremony, the wedding reception and the accommodation are on one place this is also regarding the wedding budget the best option for many couples, since you do not have to pay transfers or location fees. Our wedding planner in Italy can plan and organize either a religious ceremony, a legally binding civil ceremony or a symbolic wedding ceremony in a private villa.